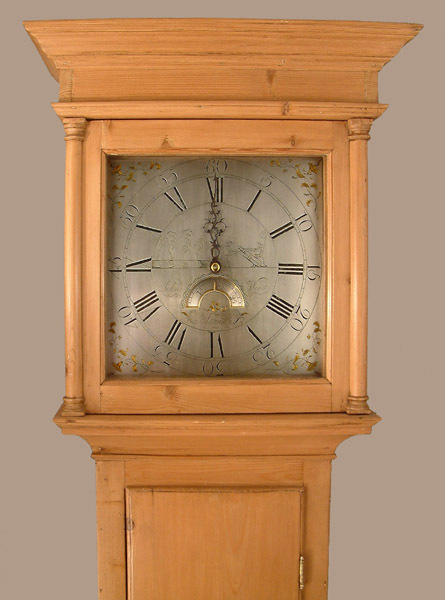 John Wood of Stroud Longcase Circa 1780 - Height 80in. This Longcase Miscellaneous Archive's Maker - John Wood of Stroud recorded 1769 - 84. Long door stripped pine case with flat top. 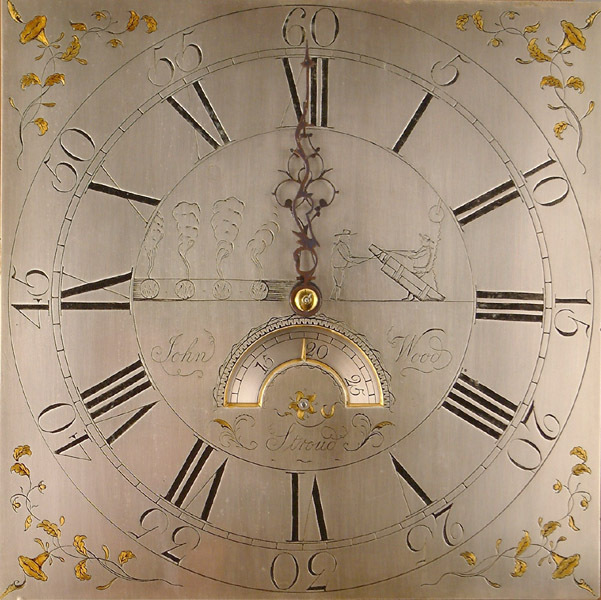 12" square engraved and silvered brass dial with interesting foundry scene engraved to dial centre. Date lunette. 30 hour with hourly ( countwheel ) striking. John Wood of Stroud recorded 1769 - 84.